(Washington, D.C.) – Today, the Oregon Supreme Court handed down a decision in the case of Kendoll v. Rosenblum in favor of our client Oregonians for Immigration Reform (OFIR). IRLI, along with local counsel Jill Gibson of the Gibson Law Firm, brought a challenge in the Oregon Supreme Court to the biased ballot language certified by the Oregon attorney general for a citizen initiative (Initiative Petition 2016-52 or IP 52) filed by OFIR. IP 52 would require all Oregon employers with five or more employees to use E-Verify to verify with the federal government that every new employee is authorized to work in the United States. In its decision, the Oregon Supreme Court found that the ballot language certified by the attorney general obfuscates the true purpose and effect of IP 52. The court stated regarding the ballot title, “We agree with petitioner that the caption fails to substantially comply with ORS 250.035(2)(a). Federal immigration law requires that employers review certain documents to ‘establish an employee’s eligibility for employment,’ and it prohibits employers from knowingly hiring unauthorized aliens. Whiting, 131 S Ct at 1974. IP 52, if enacted, would add an additional requirement to that federal law. It would require, as a matter of state law, that employers use a federal website to verify the authenticity of the documents that federal law requires only that they review. That additional requirement is one major effect of the measure. The caption, however, does not highlight that effect.” The court likewise found the questions that will be posed to voters and summary of the law defective and misleading. The court ordered the attorney general to re-draft the ballot language consistent with its decision. Next week, Representative Kurt Schrader will be hosting town hall meetings around the district These meetings are a chance for you to visit, talk about what's been going on in Washington, and find out ways that his office can be of service to you. Oregon City Town Hall - Tuesday, February 16th, 6:00 p.m. - 7:00 p.m.
Salem Town Hall - Wednesday, February 17th, 6:00 p.m. - 7:00 p.m.
*Presentation begins at 11 a.m. If you are interested in seeing Michelle Malkin, Dinesh De'Souza, Todd Starnes and Rep. Greg Walden and hearing what they have to say about the upcoming elections, then you won't want to miss the Oregon Freedom Rally at the Oregon Convention Center, Saturday, February 6 from noon - 3:00pm. Register on line and get more information here. OFIR will be hosting a table at the event. Please stop by and say HELLO! OFIR meeting - this Saturday! Never before has the issue of immigration – both legal and illegal – been such an important topic in the Presidential election. And, never before has our country been in such jeopardy because of our lax immigration policies. Join OFIR this Saturday - bring your ideas and we will have an open discussion about what we can and should be doing to take advantage of the momentum in the immigration debate. We'll also bring you up to date on the status of OFIR's two citizen's initiatives that have been winding their way through the ballot title challenge process all the way to the Supreme Court. And, for all of you that worked so hard to defeat driver cards for illegal aliens, and are following the lawsuit filed in Federal Court to overturn our big 66% win – we will have the latest news to report to you. And, if that's not enough – it's time to elect NEW Executive Board officers! 2016 promises to be a watershed year and hopefully a turning point for U.S. and Oregon immigration policies. But, voters must step up. If you have questions please call OFIR at (503) 435-0141 or send an email to ofir@oregonir.org. From I-5, take exit 253, which is the intersection of I-5 and State roads 22 and Business 99E. Go West on 22 (Mission St.) a short distance to Hawthorne Ave. (Costco will be on your right.) Turn R on Hawthorne Ave. to the first left, which is Ryan Drive. Turn left on Ryan Drive, by Denny’s Restaurant, and proceed to Mill Creek Inn just beyond. From downtown Salem: Go east on Mission St. (State Rd. 22). Follow 22 just past the Airport and turn left on Hawthorne Ave. Then take the first left (almost an immediate left) into Ryan Drive; you will see the Inn directly ahead. A public forum on Jan. 20 will discuss 50 refugees who will be coming to Salem starting in February and continuing through September. The forum, known as the Refugee Forum on Jobs and Literacy, is scheduled from 7 to 8:30 p.m. in the Anderson Room of the Salem Public Library, 585 Liberty St SE. Francisco Lopez, a refugee from El Salvador, will host the event. During the event, there will be speeches and presentations made by various organizers from Catholic Charities and local groups, as well as a panel of three refugees who live in Salem currently, followed by a Q&A session. Organizers will discuss what services and programs are already in place for the refugees and what help they need from community members and volunteers. Any unresolved issues will be addressed during the Q&A period. Organizers said they would like to form task forces during this period should further work need to be done. They will primarily be discussing employment, education and English-language learning, cultural transition, and transportation. There will be other activities and refreshments as well. This event is free and open to the public. Plan to join us for our upcoming OFIR membership meeting this Saturday, January 14 from 2:00 - 4:00pm at the Best Western Mill Creek Inn across from Costco in Salem, OR. Learn what the future may hold with a Trump presidency. We will be discussing local election results, as well. There is reason for hope in our immigration efforts. The Oregon Legislature will start the 2017 session next month. Find out what's in the hopper and what OFIR members can do to get involved. OFIR President, Cynthia Kendoll traveled with Center for Immigration Studies for a week long intensive study of the northeastern US /Canadian border. She will give a photo presentation and discussion of her trip. Invite a friend, relative, neighbor or co-worker to join you! It's worse than you can imagine! The TPP - what is it and how will it impact Oregon? Plan to attend - register today! There are few programs presented by Salem City Club with a “call for action” national time line for its citizens. This is one of them. The Trans-Pacific Partnership (TPP) is a “trade and investment” pact between the United States and eleven other Pacific-Rim countries, which represented approximately 44% of Oregon’s international trade in 2014. Oregon agriculture and labor interests are said to be significantly impacted by this agreement. The TPP countries are Australia, Brunei, Canada, Chile, Japan, Malaysia, Mexico, New Zealand, Peru, Singapore, United States, and Vietnam. China, Oregon’s largest export destination, is noticeably absent. TPP negotiations began in 2008 with little public input and calls for more transparency. WikiLeaks released various sections of the TPP being considered. This was the first public look at possible provisions. Although the TPP is billed as a trade pact, providing for reduced tariffs on products imported by member countries, the pact also impacts a broad range of issues such as food safety, Internet freedom, medicine costs, financial regulation and more. Congress voted to give the Obama administration Fast Track Authority, which provides for an up or down vote by Congress after a 90-day review period…no amendments allowed. On January 8, we will be about 60 days into the review period. As of now, members of Oregon’s congressional delegation are still studying the TPP agreement and appear to be split on the subject. The 6,000 page agreement is available on-line from the Office of the U.S. Trade Representative. Additionally, an internet search for TPP Oregon will result in a number of relevant articles. An hour does not provide enough time for a detailed analysis of the agreement, but we hope to provide you with helpful information as you develop your own analysis of this far reaching trade and investment pact. Public input is critical to this process and the clock is running! Dr. Russ Beaton, nationally recognized scholar of sustainable economics, will guide us through a summary of the TPP and provisions directly impacting Oregon. Although much of the attention will be given to Oregon-specific products, Dr. Beaton also will address some of the more global aspects of the agreement. Beaton received his bachelor’s degree from Willamette University and his Master’s and Ph.D. from Claremont University. His original training was in mathematical economics and econometrics, although his doctoral thesis was in location theory and urban land economics, which became a lifetime interest. 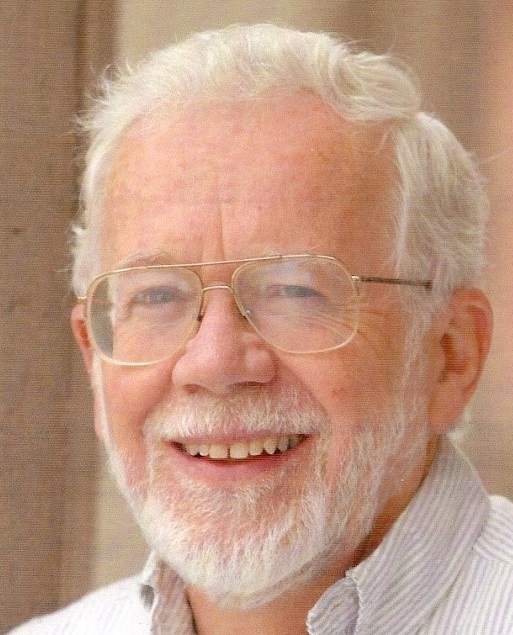 After teaching at California State College at Fullerton – now Fullerton State University, and at Simon Fraser University in Vancouver, British Columbia, Canada, Beaton returned to his alma mater, Willamette University, where he taught economics and did research for 33 years, retiring in 2003. His teaching interests included Microeconomic Theory, Environmental Economics, Energy Economics, and Regional Economics and the Economy of Oregon – all courses which he developed and introduced. His research interests have always gravitated toward useful policy efforts that have the capability of directly and immediately affecting the lives of people. He has consulted and done policy-based contract research for several State of Oregon agencies in areas such as land use, agriculture, timber, transportation, energy, housing and general economic policy. Co-author with Chris Maser of three books, all in the area of sustainable development, Russ has also participated in drafting the legislation, passed by the 1973 Oregon Legislature that created Oregon’s widely acclaimed land use planning system. by noon, Wed. Jan. 6. December is half over and we are now in the last two weeks where you can take advantage of Oregon state's political tax credit for donations to the OFIR Political Action Committee. We encourage you to send a contribution to OFIR PAC before year's end. Please don't forget - write your check today or go to the OFIR website and contribute to the OFIR PAC. If you don't use your political tax credit before December 31 - the state will use the money for its own purposes. You have a choice and we hope you will choose the OFIR PAC. If you are unfamiliar with the Oregon Political Tax credit, let me explain. Oregon residents can make a contribution to one Oregon Political Action Committee per year. Through Oregon's political tax credit, married couples filing joint Oregon Income Tax Returns receive a dollar for dollar credit of up to $100 - (it's $50 for singles and married couples filing separately) - for contributions to a Political Action Committee like OFIR PAC. This is your opportunity to divert a portion of your tax obligation to OFIR PAC and not to the State's coffers. This is not a tax deduction but a credit. If you owe money on a joint tax return, you would owe $100 less as a married couple filing jointly. Of course, you may contribute in excess of the deductible amount, and we encourage you to do so, but you may deduct only the allowable limit. Please write your check to OFIR PAC, or visit the OFIR website and donate online at http://www.oregonir.org/donate-ofir. If you click the DONATE button on this email and fill out the form, your contribution will automatically be credited to the OFIR PAC. Checks can be mailed to OFIR PAC, PO Box 7354, Salem OR 97303. Checks must be made to OFIR PAC - checks made out simply to OFIR are not eligible for the state income tax credit and, under IRS rules, are not tax-deductible, but we would still welcome your contribution to OFIR! All OFIR officers and Board members are volunteers serving without pay and we have no paid employees other than a part-time bookkeeper. As one of the most active immigration organizations in the country, we must have funds for necessary expenses such as email and website services, printing and postage, annual fees to Oregon SOS and DOJ, meeting room expenses, reimbursement for gasoline and other miscellaneous expenses incurred for travel within the state. Mounting initiatives involves large expenditures for printing, postage, websites, fees to lawyers and accountants, and more, yet we have much to gain from successful initiatives. Our winning Protect Oregon Driver Licenses campaign has been a template for other successful ventures across the country. OFIR has attracted the attention and interest of many state activist groups as well as national immigration organizations. We are currently facing extremely dangerous threats related to immigration here in Oregon and across the country. A healthy, robust budget is a basic requirement for continued efforts to establish sensible immigration policies that serve the public interest and well being. As you may remember, a matching grant offer is now in effect; whatever you give will be matched dollar for dollar, by a generous donor, up to $15,000. I can truly say OFIR couldn't have accomplished what we have without the help, support and cooperation of each and every one of you. I wish I could personally thank each of you. If you have not yet contributed to OFIR and the work we are doing - please consider doing so before the end of the year so that you can take advantage of the Oregon Tax Credit. We need all hands on deck at this time. Please, give generously but only what you can afford! Remember to make your check out to OFIR PAC! Thank you! Both Senator Ted Cruz and Donald Trump have made immigration their key election topic and as a result have shot to the top in polling. Other candidates have slipped by on the tough questions about immigration. Senator Marco Rubio, who was one of the sponsors of the disastrous 2013 “Gang of Eight” amnesty bill, has avoided scrutiny on the issue. Perhaps in the debate tonight, tougher, more specific questions will be asked of Rubio. Byron York sends his wish list of questions for candidate Rubio in his recent article in the Washington Examiner. Recent Pew Research asked Americans whether immigration should be "kept at its present level, increased, or decreased." Very small minorities - just 7 percent of Republicans, 17 percent of independents, and 20 percent of Democrats - support increasing immigration. Let's get these important questions answered sooner, rather than later!